"Can an employer discriminate on grounds of philosophical belief where the employee is the only person to hold such a belief? No, held the EAT in Gray v Mulberry. Ms Gray worked for Mulberry. She refused to sign a standard contract clause assigning copyright in her work to her employer, fearing it would give them ownership over a novel and screenplay she was writing (even though the contract was amended to exclude them). She was eventually dismissed. She claimed her belief in the sanctity of copyright law was a philosophical belief and thus a protected characteristic. 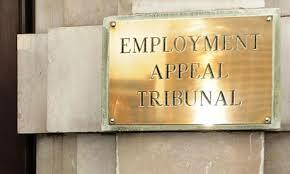 The Employment Appeal Tribunal, after considering the necessary limbs for establishing a philosophical belief, held that the tribunal was entitled to conclude that the belief lacked sufficient cogency to qualify under the Equality Act 2010.